A guide to understanding our super-soft prints on our super-soft T-shirts and how they print. This is the biggest difference when printing with waterbased inks and discharge as opposed to plastisol. A guide to understanding our super-soft prints on our super-soft T-shirts and how they print. When printing your super awesome design on the softest T-shirts known to man, woman and unicorn, results may vary. Some properties in the dyes of the apparel don't want to play so well with our super-soft inks. 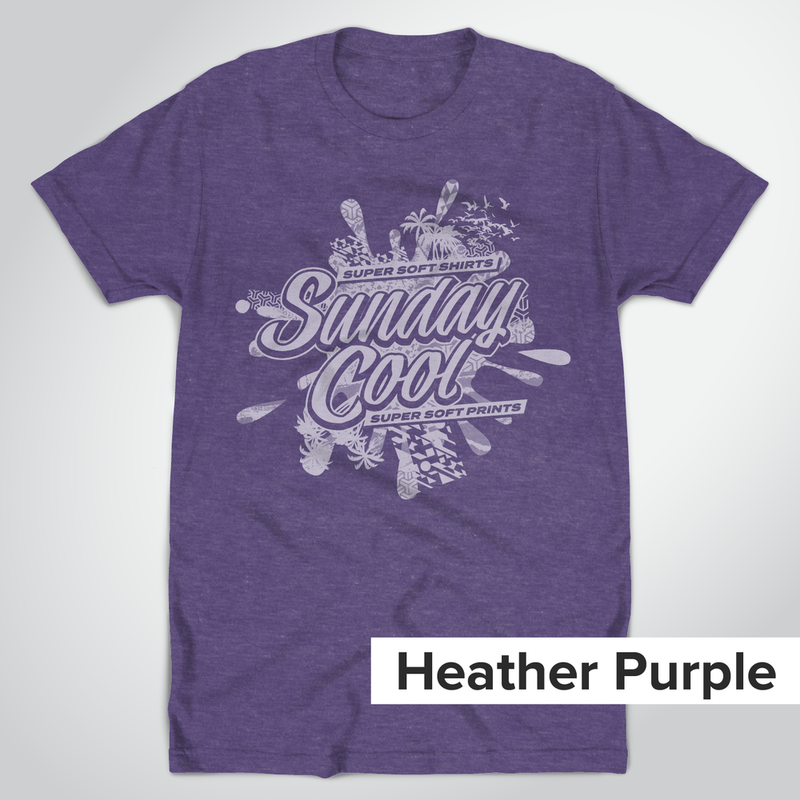 We've created a list of some of our most popular T-shirt colors and show you exactly how our super-soft inks print. Below are some of the different results, characteristics and alternatives to some of our most popular T-shirt colors and how they react with our super-soft inks. 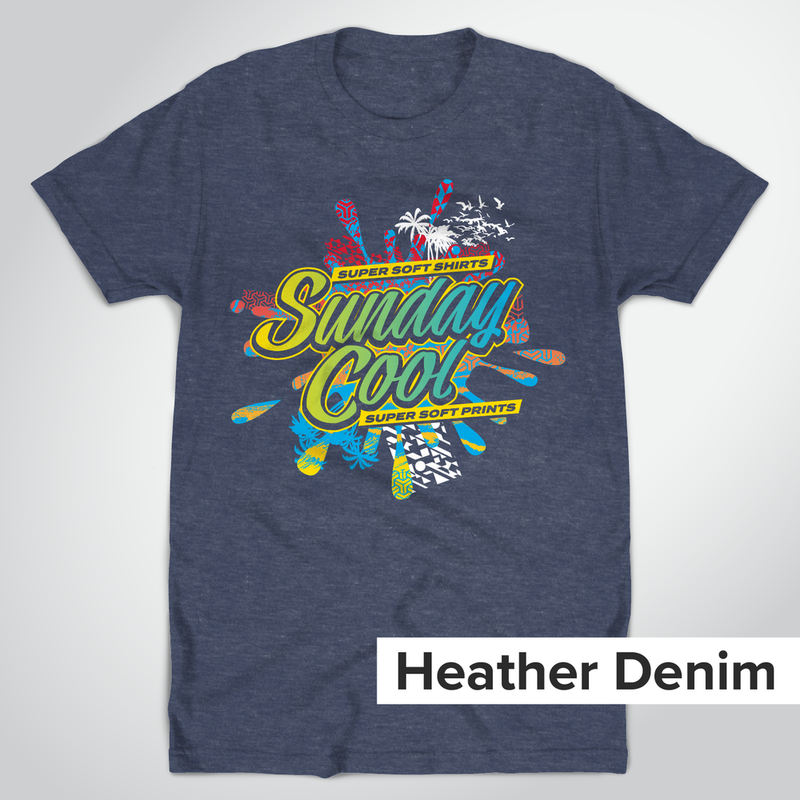 Click on each image to see how your design would print on the apparel. *Images on screen may differ from the actual print. Almost all ink colors printed on these shirt colors produce a bright and bold print. Use these apparel colors to achieve the brightest and boldest print results. Bright ink colors or any ink color lighter than any of the apparel color shown above produce a very faded and muted look. Certain ink colors, such as yellow, will be affected by the color of the shirt. i.e. Yellow ink on a heather royal blue t-shirt will look green. It is suggested to use a single color ink for your design if you would like to print on any of these colors shown above. Read about our Vintage Look & Feel below. We've thought of an alternative to printing on apparel that does not discharge bright and bold. These two single color options are by far some of our client's favorite look. The first option is to print your design using a 1 color ink such as white for a vintage slash "my-favorite-tee" look. Click on any of the 3 images above to see an example of this look. 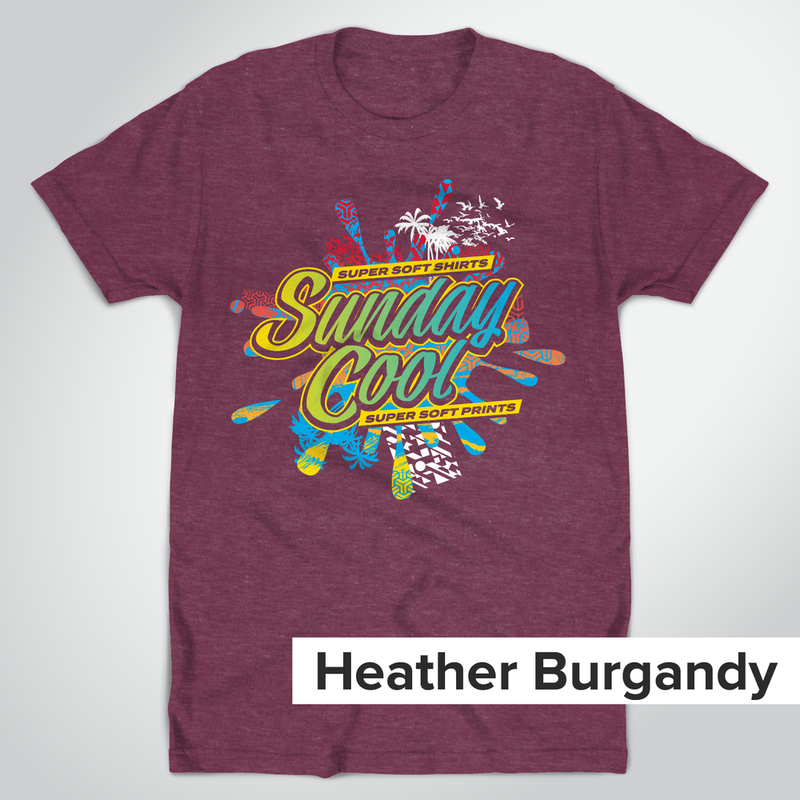 Another great option to printing your design on apparel colors that do not print inks bright and bold is to use a color that is darker than the shirt, like navy or black. 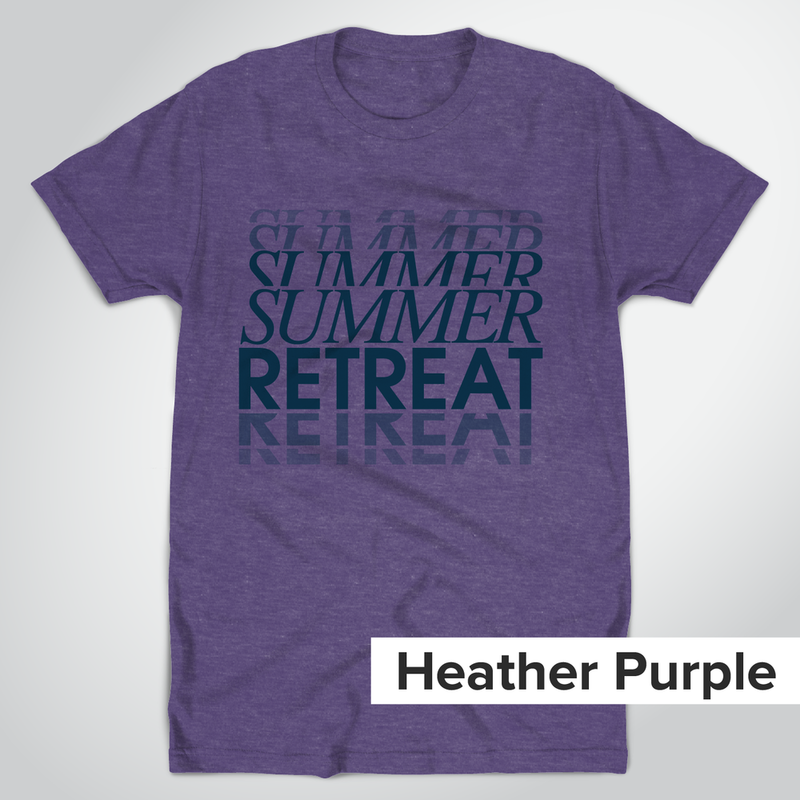 Check out some of the examples below for printing your design using a dark colored ink.